N. Jeffrey Leonard, of Port Royal, beloved husband, father, pappy, brother and son, passed away into the loving arms of Jesus, Sunday, Sept. 9, 2018. He was born Dec. 21, 1952, to the late Norman B. Leonard and Mildred Walters Leonard, of Mexico, Pa. Jeff married Susie Van Brimmer Leonard, on Oct. 8, 1977. He enjoyed hunting, fishing with his granddaughters, camping with Susie, traveling, bowling and playing cards with his close friends. He could also be found spending time at his cabin and ground in Hammer Hollow or rooting for the Eagles. Jeff adored being a pappy and embraced his grandchildren and foster grandchildren wholeheartedly. 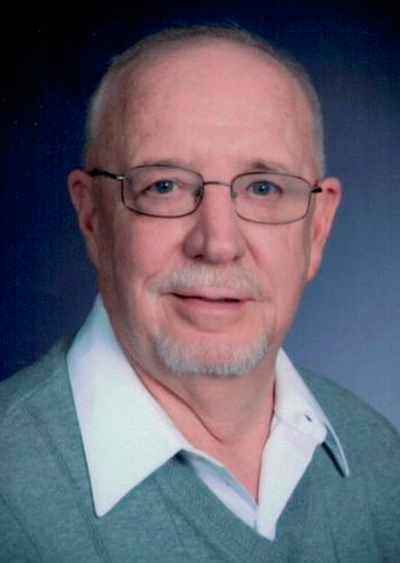 Owner of the Leonard Insurance Agency, Jeff was well known to the community for his generosity, volunteerism and his vibrant and congenial spirit for all. He was an administrative council member of Port Royal United Methodist Church, member of the board of directors for Juniata Mutual Insurance, the advisory board of Juniata Valley Bank, a board member of Juniata Business and Industry, a community advisory board member of Geisinger Hospital Lewistown, past president and board member of Rotary Mifflintown, past board member of Port Royal Speedway and in a number of various Masonic organizations. In addition to his mother and wife, Jeff is survived by: sons, Casey (Rebecca) Leonard, of Reedsville, and Ryan (Ashley) Leonard, of Thompsontown; brothers, Scott, of Port Royal, Kirby (Darlene), and Kelby (Michele), both of Thompsontown; granddaughters Tasha, Alexandria, Gladrielle and Kayci; great-grandson, Kalvin; and numerous nieces and nephews. A memorial service will be held at 11 a.m., Friday, Sept. 14, 2018, at Port Royal United Methodist Church, with Pastor Terry Brosius. Visitation will follow the service. In lieu of flowers, memorial contributions can be made to Port Royal UMC, P.O. Box 396, Port Royal, PA 17082 or to Rotary Club of Mifflintown at P.O. Box 17, Mifflintown, PA 17059. Guss Funeral Home Inc., 20 S. Third St., Mifflintown has care of the arrangements. Condolences may be left at www.gussfh.com.